Aachi Kulumbu Chilli Masala offers a spicy and delicious taste to the foods when added. It can be used to prepare fish curry, fried fish varieties, egg curry and vegetable curries. 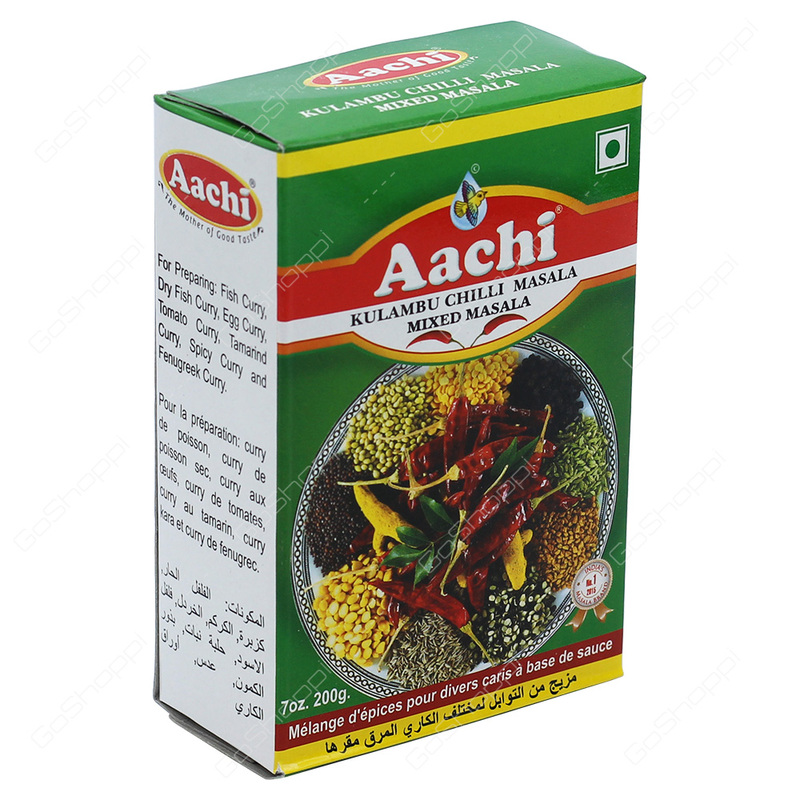 Aachi Kulambu chilli powder is made of the ingredients like Chilli, salt, coriander, pepper, fenugreek, cumin seeds, fennel, turmeric and curry leaves.